I’ve been a little bit behind in putting a link to last week’s Escentual column up here, and for that I apologise! Anyways, the centrepiece of the article was Acqua di Parma’s Acqua Nobile Rosa, an Eau de Toilette incarnation of last year’s Rosa Nobile. Now, if you remember my review from last year, you will know that I was more than a little bit taken with Rosa Nobile, and I’m pleased to say that this new EDT is just as good, if not a bit lighter. Rosa celebrates the more ethereal, jammy and citrus-like facets of the rose and it’s a good alternative for those who want something less present. Click here to check out my review. 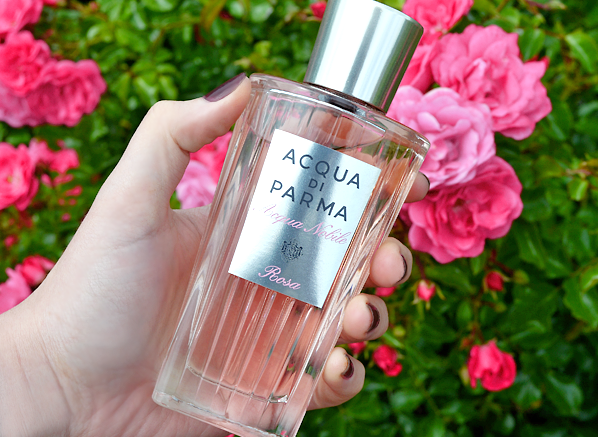 Posted in Acqua di Parma, Escentual, Feminine, Perfume Reviews, Rose and tagged Acqua di Parma, Acqua Nobile, Acqua Nobile Rosa, Eau de Toilette, Escentual, Perfume Review, Rosa, Rosa Nobile. Bookmark the permalink.